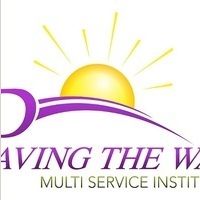 I am a Licensed Independent Clinical Social Worker, who has been working in the field for over 20 years. I hold a BS degree in Psychology from Bowie State University and Masters of Social Work degree from the University of Maryland. Currently, I am trained in Cognitive Behavior Therapy (CBT), Structured Psychotherapy for Adolescents Responding to Chronic Stress (SPARCS) and Adolescent Community Reinforcement Approach (A-CRA) as I am presently employed as a School Social Worker at Ballou Senior High School. Throughout my career I have worked with children, adolescents and families within the Child Welfare and Social Services systems. I have provided individual and group therapy to men and women in recovery, as well as individuals in crisis. As a supervisor within a social service program, I organized and facilitated numerous workshops such as Anger Management, Domestic Violence, Self Esteem, and Goal setting, to name a few. While working with the Adolescent unit within the foster care system; I facilitated Life skills training and various workshops to assist the youth with having a successful transition to adulthood. Overall my belief is empowering and exposing families, children and individuals to positive opportunities/alternatives to help them to learn, grow, overcome any obstacles to reach their goals.